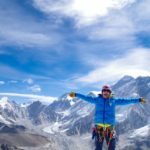 On May 21, 2016, Kim Hess stood atop one of the most hard-won summits in the world: Mount Everest. For adventurers everywhere, Everest is the White Whale; an astounding achievement which demands grit beyond measure. For Hess, however, the journey to this moment took more fortitude, endurance — and help — than she’d ever imagined. For a good portion of her life, Hess dreamed of climbing the Seven Summits — the highest peak on every continent. 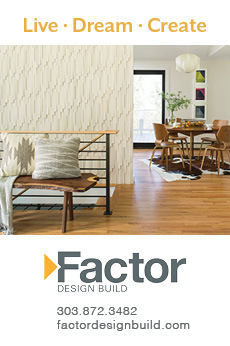 In 2011, her endeavor began; by 2013, a tragic fall threatened to crush her dream altogether. 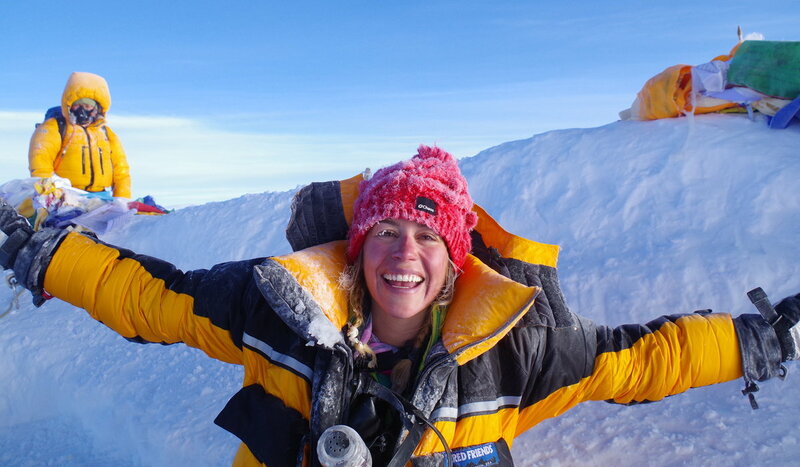 After successfully summiting three peaks, Hess climbed her fourth: Denali. As Hess led her team down the 20,310-foot Alaskan giant, she attempted to maneuver around a bergschrund — a bulge in the snow. Her foothold suddenly gave way, and as she fell the rope supporting her wrapped around her left arm, snapping her wrist and several bones in her hand. After two days trapped on the mountain waiting for an airlift, Hess flew to Denver. She quickly made her way to the Emergency Department at UCHealth University of Colorado Hospital, where she was admitted after meeting with hand surgeon Dr. Michael Gordon. In keeping with the grueling nature of Hess’s journey thus far, her first surgery was a marathon: for six-and-a-half hours, Gordon worked to repair her snapped radius and ulna bones, as well as her fourth metacarpal — the bone of her ring finger. Initially, Hess “saw the injury as a bump in the road,” recalled Gordon, and it took time for her to grasp the severity of her injury; she’d broken 26 bones in the past, yet this break limited her as none had before. The road to recovery was long and arduous, even as Hess devoted herself to a demanding occupational and physical therapy regimen with Emily Tjosvold, a certified hand therapist in Steamboat. Hess recalls: “It was a year of feeling like I was being beaten down over and over…like the dream was over.” After a period of immense frustration spent struggling to complete mundane daily tasks, Hess slowly re-learned how to do small things, like brushing her teeth or making a sandwich. In early 2016, Hess began her ascent. She climbed with her brother Steve by her side, and on May 21 they stood astride Everest’s 29,029-foot summit, buffeted by fierce winds, numbed by blistering cold, and happier than ever. 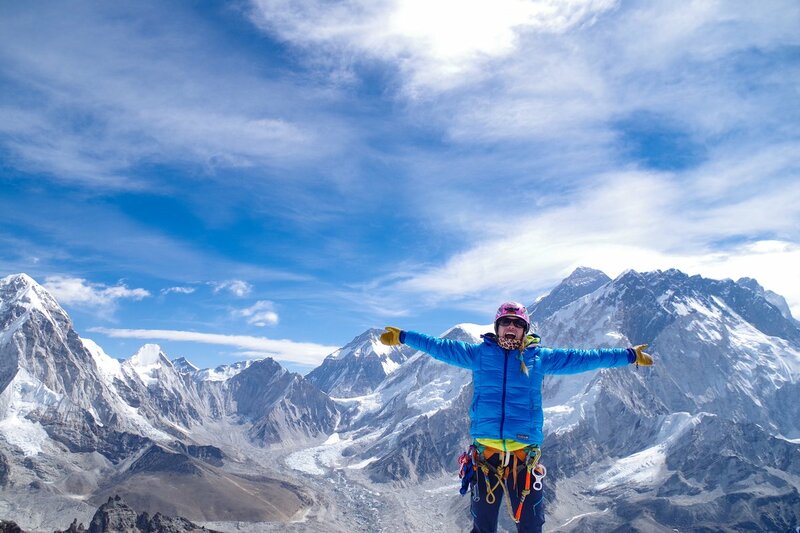 After Everest, Hess summited her final two peaks — officially conquering all Seven Summits. 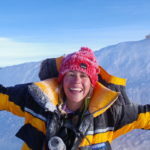 Looking back on her experience, Hess is positive and thankful: “I never thought I would…be grateful for the experience, but it taught me a lot of life lessons.” Gordon notes: “Kim has a fighting spirit…with her injuries and the time frame she gave us, it didn’t seem like Everest was a likely scenario, but her determination…allowed her to succeed.